However, for this site to be useful to anybody, I strongly believe I also need to write about stuff I don’t like that much, so you can check if your taste really agrees with mine. Too many reviewers seem to have their rating scale only between 4 and 5. How do you really separate the good from the bad this way? Obviously, a big part of this is just selection bias. I assume, professional reviewers are not too much unlike me and much more prefer to write about stuff they like vs. stuff they don’t like. Same has happened on my site so far, with few exceptions. My two main sources of classical reviews, Gramophone (UK) and Classica (FR) don’t shy away from low ratings, that’s what I like about them. Gramophone doesn’t use a rating scale beyond the Editor’s Choice, but you can clearly read from the text whether they are enthusiastic or not. And Classica really doesn’t shy away from using 1 stars, given the two examples below. And unfortunately, I wholeheartedly agree with their assessment. Classical uses a 4 star plus “Choc” scale, which equals about my 5 star system. 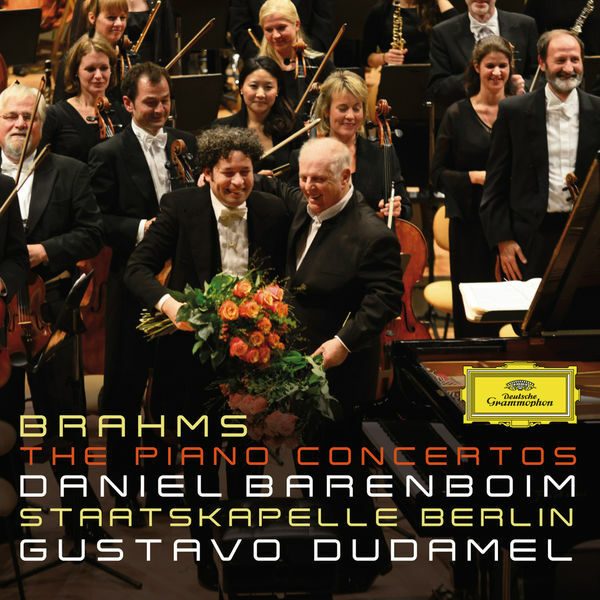 However, in their most recent October issue, I’ve seen a new rating of a hollow star which I had never noticed before, for this recent DG release of Barenboim for once back at the piano, with the young superstar Dudamel. Unfortunately, I must agree with Classica here. I really cannot find any positive element to these recordings of the two concertos that I love so much (how weird I haven’t mentioned them yet on the blog). Honestly, 1 min into the opening of the first piano concerto I had enough; there was nothing at all of the drama and desperation that so much impressed me when I heard this first at the age of 17. I know Dudamel has many fans, but I have yet to hear a recording of him that I really like (admittedly, I’ve only heard a few). And when Barenboim comes in, it doesn’t get any better. I’m really thankful for streaming these days that let’s you listen to recordings without having to buy them, I’d really have major regrets for this one. My rating: 2 stars (1 star for me really means un-listenable, and Brahms will always be Brahms, even if butchered like here). For the Brahms concertos, you have many good alternatives, from pretty much every recording that Georges Szell ever made of them (be it Fleischer, Curzon, or Serkin), to Chailly with Freire for a more contemporary one. 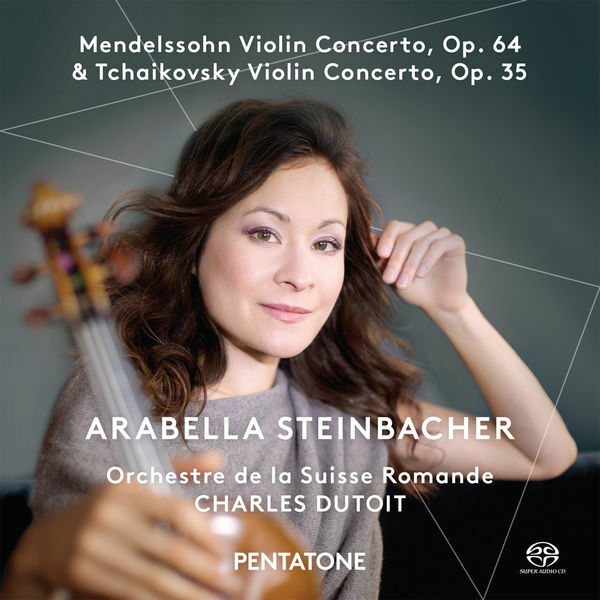 Here’s another disappointment: Arabella Steinbacher is a truly great violin player. However, from the opening moments of the Mendelssohn I knew something was very wrong. A very sweet tone with a lot of vibrato, but very little energy behind it. And in comes the orchestra (let me open a little parenthesis here for fun: Mendelssohn is one of the very few orchestras that starts with the soloist, not with the orchestra, there’s an urban legend that a violinist player was relaxed at the beginning of the concert, assuming he’ll have to play Beethoven. The conductor gives him signal after signal, but the violinist doesn’t get it. Finally, the conductor desperately starts, the violinist after the first second realizes his mistake and raises up the violin literally last-minute. Parenthesis closed. If somebody has a source that this has really happened, please let me know) and it really doesn’t get any better. The Tchaikovsky is equally uninteresting unfortunately. Classica agrees with me, giving this recording a rather brutal 1 star and talking about a “lack of engagement” which nicely summarizes my feelings as well. My rating: 2 stars (again, 1 star would be too brutal, I can listen to this, I just don’t want to). Excellent alternatives are Janine Jansen on Decca for the Mendelssohn , and Julia Fischer for the Tchaikovsky (like the Steinbacher, on Pentatone). Pingback: What classical piece would you like to have in a modern hi-res recording?